No matter how advanced a user you are, you can still get errors while tinkering around with a jailbreak. These tools are unofficial and using them can be a daunting task. Follow our Troubleshooting FAQ to fix all errors Yalu throws at you. Q. Should I use this jailbreak? Q. Is it safe to use the “Erase All Content & Settings” function in Settings? Q. My device is not showing developer profiles menu. I’m stuck. How to fix this? Q. Why are my Apple ID and password not accepted by the jailbreak tool? Q. How do I fix cellular data, iMessage or Facetime not working? Q. I get this error message after entering my Apple ID and password – “provision.cpp:150 Please Sign in with an app spesific password”. How can I fix it? Q. iFile is not working on my device. How to solve this issue? Q. Can I downgrade from iOS 10.2 to iOS 10? Q. Should I install YUCCA utilities with Yalu? Q. Can I install OpenSSH? Q. How long does this jailbreak last? Q. Yalu jailbreak on my iOS device expired in just 3 days. What did I do wrong? Q. How do I disable OTA so my device doesn’t try to update? Q. How do I change my root password? Q. How to check if my device is in jailbreak state or not? Q. How can I add an icon to mach_portal app? Q. Whenever I enter commands in Terminal, I end up with a reboot. What am I doing wrong? Q. 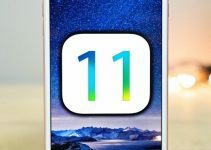 Can I restore to iOS 10.1.1 using iTunes? Q. My device keeps rebooting/crashing randomly on 10.1.1 jailbreak? Q. After installing Yalu jailbreak, my battery performance has been reduced. How can I fix battery drain after iOS 10 jailbreak? Q. App Store is not working after iOS 10 jailbreak. How can I fix this? Q. I keep getting “Failed, Retry” error with Yalu jailbreak. How do I solve this issue? Q. All of my tweaks are gone after rebooting. How can I fix this? Q. I deleted the mach_portal icon by accident. Cydia is crashing incessantly now. Is my device bricked? Q. My jailbroken iPhone 7 is not turning off. After powering off my iPhone 7, it just reboots to non-jailbroken state. How can I fix my iPhone 7? Q. Whenever I run the mach_portal application, my iPhone 7 resprings. How do I fix this? Q. How do I restore my device to stock settings without updating my firmware? Q. When I open any menu in Cydia, the button becomes gray and nothing happens. What am I doing wrong? Q. I am getting the following error while adding repos/sources? Q. Why do I get “failed in buffer_write(fd) (8, ret=-1)” error in Cydia? Q. Why am I getting “sub process /usr/libexec/cydia error 1” error? Q. When I use “Restart SpringBoard” in Cydia, I get stuck on a blue screen. What should I do? Q. Cydia purchases are not working. What can I do to fix this? Q. How can I access pirate repo/sources on Cydia? Q. Which Cydia tweaks work with this jailbreak? Q. When tapping certain links in Cydia, why does it go grey and not load? Q. How can I enable Cydia Substrate on iOS 10? Q. I uninstalled Cydia installer by mistake. What can I do now? Q. I am getting the “target tanslation” error in Cydia? How can I fix it? Q. How can I fix Cydia not opening after iOS 10 jailbreak due to full system partition? Q. I am getting the DPKG_LOCKED error on Cydia iOS 10. How do I solve this error? Q. How can I fix “/var/lib/apt/lists/partial (no such file or directory)” error? Q. How can I fix Cydia error code 1 on iOS 10? Q. I am getting the “hash sum mismatch” error on Cydia (iOS 10). How can I fix this error? Q. I can install Cydia tweaks but they are not showing up in settings. How do I fix that? Q. Can I use AppSync unified on iOS 10? Q. Cydia crashes while installing or re-installing tweaks. How can I fix this error? Q. Anemone is not applying a theme after I reboot my device. What am I doing wrong? Q. Cydia and mach_portal crash instantly after 7 days. How can I fix it? Q. How can I manually restart Springboard? Q. IconSupport and BetterFiveIconDock are not working and crashing the Substrate. How can I fix this error? Q. Activator tweak is sending my device into safe mode. How can I install it properly? Q. LockHtml4 is not working on my iOS 10 device. Does it even support iOS 10.2? Q. I am getting “There was an error loading the preference bundle for enabled applications” with Eclipse 4 tweak. How can I fix this? Q. All my apps have disappeared after using Stashing on iOS 10. What do I do now? Q. How to fix Filza after installing Stashing? Q. Anemone is crashing to Safe Mode as soon as I hit the apply button. How do I fix it? A. Substrate is disabled by default so you need to enable it after each reboot using mach_portal. A. No. If you do this and try to use Cydia, you will get “Could not open file /var/lib/dpkg/status – open (2: no such file or directory)” error. A. Kill Settings with app switcher and search for it again. A. Make sure you don’t have gmail extension address as the id ([email protected]). The tool does not understand emails containing the plus sign (use [email protected] instead). A. Follow the tutorial here. If it still doesn’t work, try resetting your network settings. A. Follow this tutorial here to fix this error. A. Just use Filza app. A. Unfortunately, it’s not possible now. DO NOT update to iOS 10.2+ in any case. Your best best now is to wait for an iOS 10.2 jailbreak. A. No. This could cause issues in the future. It is strongly recommended that you do not install them. A. No. There is already a working SSH that comes with the jailbreak. If you use OpenSSH, it will cause issues with the final jailbreak. Follow this tutorial to properly SSH into your iOS 10 device. A. Yalu jailbreak will keep functioning even after 7 days as long as your device doesn’t reboot. If your iPhone/iPad reboots and Cydia tweaks keep crashing, you will need to run mach_portal/yalu102 app again. Re-jailbreak procedure is explained in detail in our jailbreak tutorial, so follow that. A re-jailbreak every 7 days is still recommended as any bogus Cydia tweak can result in a reboot. This will put your device in unjailbroken state. If your jailbreak certificate expires, you will lose the jailbreak until you can access your PC/Mac. A. You must have deleted it and installed it again after 4 days. Cydia Impactor tool does not resign certificates. So if you deleted and reinstalled Yalu, 4 days after installing it, you will only have 3 days left. A. Install the tvOS configuration profile to disable OTA updates. A. In any terminal client, such as NewTerm or MTerminal, (or via ssh by running ssh [email protected], replacing the x’s with your IP address and the password as follows). The default password is “alpine”. Once logged in, run “passwd” and type in your new password twice. Then run “passwd mobile” and type in your new password twice. A. Here’s a nifty little trick that lets you do exactly that..
Download Icon Renamer tweak via Cydia. Now respring and tap the mach_portal icon. Rename it to ‘Jailbreak On’. That’s it. If your device is in jailbroken state, mach_portal app will read as “Jailbreak On”. When your device is not jailbreak state, it will just display as mach_portal. A. If you are interested in modding its icon, use this step by step method for Windows and Mac OS X. A. This error is happening because you aren’t pressing enter/return key after each line of code. A. Yes, it is possible but only if you have saved your SHSH2 blobs. A. This issue can be solved easily using a terminal command. We will remove all corrupt files and remove them. Step 1 Close all apps running in the background. Step 5 Let your device respring. A. There are several fixes you could try as there is no single solution to this problem. Close App Store using app switcher and start it again. Log out and wait for a few minutes. Log in again to AppStore from Settings. Press the Feature tab 10 times. Doing this will restore the App Store. A. Close all apps and then try again. When you open Yalu, wait for a minute and hit “go” only once. A. Try uninstalling iCleaner from your device. Download Cydia Impactor and Yalu jailbreak beta 3 using the links given above. Follow the steps given above to install Yalu through Cydia Impactor. Clear all apps running in the background. Put your device in DFU mode. If you have an iPhone 7/7+, hold power + volume down buttons together. If you have any other device, hold power + home buttons together. If this process is not successful in the very first try, perform it again. A. This error arises due to conflicting Cydia tweak. Just uninstall the exKey tweak from your device. This tweak is known to cause issues as it conflicts with Activator. A. Open any 8 system apps (such as Camera). Run mach portal application and the jailbreak process will be successful. A. You can use OSRestoreX or Semi Restore 10 for restoring your device. These tools erase your data while still keeping the firmware same. A. Here’s a simple solution – instead of simply clicking on the desired menu, click and drag to open it. A. Many users are reporting this issue. Follow the steps given below. Remove each and every sourc (including the deault ones) from Cydia. Fire up iCleaner and clean Cydia and its files. Now go to Cydia and make sure you update it to version 1.1.28 beta 5. Add all your sources again. Go to More Package Sources in Cydia and add them (DO NOT enter them manually). Done. A. This happens when there is no more space left in the system partition of your device. To fix this, add https://coolstar.org/publicrepo to Cydia and install “Stashing for iOS 9.2 – 10.1.1”. If you get the same error while trying to install “Stashing for iOS 9.2 – 10.1.1”, remove a few tweaks, install it and then install the tweaks back again. A. This error has been fixed in the latest update of Cydia. Just download the latest upodate to fix this error. A. This happens due to Cydia trying to relaunch backboardd when tapping this. This is broken with this jailbreak so you must use a terminal app (or ssh) and type killall -9 SpringBoard. This does not work with every tweak but seems to be the best method at the moment. A. First of all, download Cydia 1.1.28. Remember, it is still in beta. Purchases are not working as of yet but you can install tweaks you have purchased earlier. A. Pirate repos are not working as of yet. You can try using a VPN instead. A. Check the compatibility here. A. This is a bug in the version of Cydia bundled with the jailbreak. If you swipe slightly as you tap, the link will work. The updated version of Cydia fixes this issue completely. A. Follow this tutorial for enabling Cydia Substrate manually or by using a tweak. A. You need to reinstall Cydia. This method will also fix any other issues you are having with Cydia. You must have iFile/Filza and MTerminal before you begin. 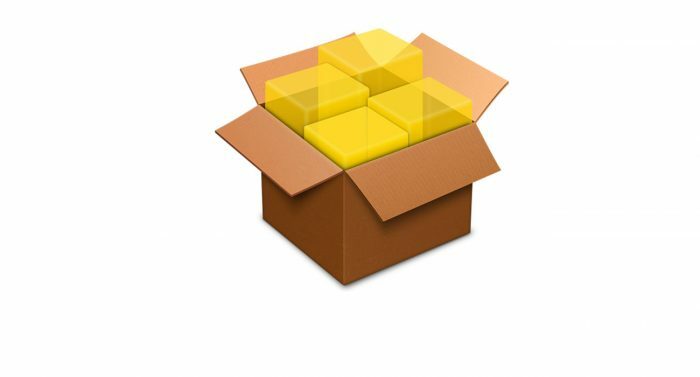 Download the latest debain packages of Cydia, tar and dpkg from here. Save the files in iFile or Filza. Firstly, install Tar debian package using iFile/Filza. Install Dpkg and finally Cydia installer debian package. If Cydia is not present, type uicache in MTerminal and hit enter. Start Cydia. Don’t worry if it crashes on your first try. A. This error occurs when you add the same Cydia source twice. It is highly likely that you added the same repository using https and http. Here how to fix this issue. Remove every repository from Cydia except the main repos. This error will be displayed after you remove each repository. Cydia will eventually stop throwing this error. In case, Cydia freezes while you are removing a repo and the “Return to Cydia” button disappears, close Cydia and then start removing sources. After each and every source has been removed, re-add your desired sources. This will fix the “target translation” Cydia error. A. This error occurs when 100 percent of system partition memory of your storage gets used up. This leads to Cydia not opening. 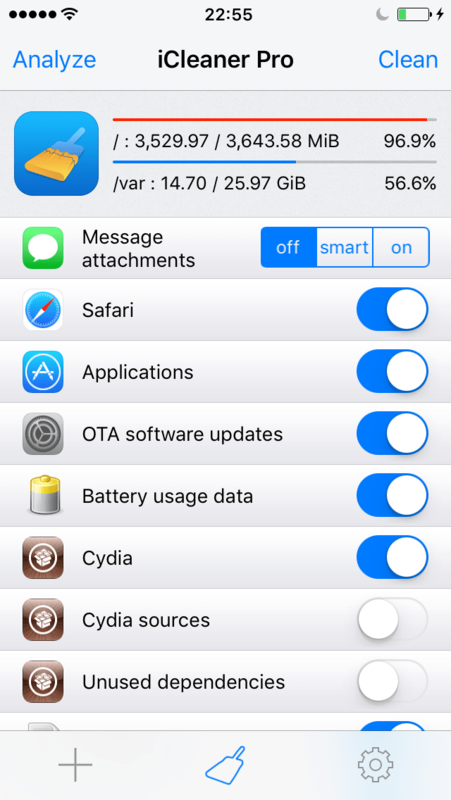 You can easily check your storage stats with iCleanerPro tweak. Remove all languages except English, Japanese and/or your native language. Fire up Safari web browser. Download and install the latest Cydia .deb with iFile or Filza. Rejailbreak your device using Yalu. If you don’t know how to do it, follow this tutorial. That’s it! Cydia will now work properly. You can also delete the native wallpapers that come bundled on iOS 10. This will free up even more partition space. This will reconfigure the broken Debian packages. You will now be able to reinstall tweaks. Reinstalling the Cydia Installer is highly recommended. Kill Cydia with the app switcher. The error will now be fixed. A. To fix Cydia error code 1, you need to reinstall Cydia via MTerminal. Read the complete tutorial above. A. You must downgrade and then upgrade Cydia installer on your device to fix this error. Rejailbreak with yalu102. Follow this tutorial to learn how to do this. Start Cydia and refresh it. Upgrade to the latest stable release – Cydia 1.1.28. A. Installing applist and preferenceLoader will solve this problem. Q. I am getting the “Could not open lock file /var/lib/apt/lists/lock – open (13:Permission denied) E: Unable to lock the list directory”. How can I fix this error? This error will be fixed now. A. Yes. AppSync is fully compatible with iOS 10. You can download AppSync Unified for iOS 10 firmware here. A. It is normal as Cydia is in beta. This error will not cause any issues. Always use the latest version. Run mach_portal after your iOS device has restarted. Re-apply the desired theme in Anemone and enjoy. A. You will need to follow our jailbreak tutorial again from the beginning. Step 3 Remember to use your new password if you changed it instead of “alpine”. Step 4 Wait for your iPhone/iPad to restart then run mach_portal. Step 6 Run mach_portal and fire up Cydia again. Step 7 Install Substrate Fix (iOS 10). Step 9 Run Substrate Fix. Done! A. You need to install the latest version, that is, Activator 1.9.11 beta5. Install it from Ryan Petrich’s repo – https://rpetri.ch/repo/. A. It seems you are using a cracked version. Download only from the official repo – repo.lockhtml.com. It is not working because the free version does not support iOS 10.2. A. To fix this issue, you will need to install “applist” from BigBoss repo. A. This issue with Coolstar’s Stashing can be fixed easily. Here’s how to do it. Jailbreak with Yalu jailbreak. Follow our 10.2 jailbreak tutorial. Reinstall Stashing on iOS 10. A. The fix is really simple. Add this source to Cydia http://www.tigisoftware.com/cydia and update Filza. A. Try a manual respring via MTerminal as shown above. How do you get rid of cydia on ios 10.2? iPhone 5s seems to be in DFU mode. Only option iTunes gives me is to restore to factory settings, therefore losing all my data. I now want to jailbreak it for the first time, hoping this will get the it out of DFU mode. How do I proceed & succeed? Hello, TheAngel. Is your device stuck in DFU mode? What’s your firmware version? pls help me.. i have iphone 7 plus ios 10.1.1 and my cydia crash and never opened even once.. The upgrade guide is given at the end.